 Tony Ventura is a real estate attorney representing buyers, sellers and real estate professionals in residential and commercial matters. Tony represents clients in litigation, mediation, and arbitration, and also provides transactional and corporate advice. In addition to representing various-sized corporations, Tony regularly counsels individuals in foreclosure sales, short sales, and loan modifications, and he represents real estate professionals in administrative actions filed by the California Department of Real Estate (DRE). Maintaining a particular emphasis on client satisfaction, Tony has been selected as a Northern California Rising Star attorney by the publishers of Law and Politics and San Francisco Magazine from 2010 through 2012. Tony prides himself on his responsiveness to his clients’ questions and his steadfast dedication to meeting their deadlines and objectives. Tony is also an experienced mediator for real estate-related disputes. Successfully represented residential home buyers in disputes involving failure to disclose conditions such as water intrusion, foundation cracks, and other construction defects, and issues arising from easements, licenses, and boundary disputes. Obtained favorable settlement on behalf of tenant in a dispute arising from a long term, multi-million dollar lease after client had completed significant improvements to the property. Successfully defended developers against claims filed by homeowners related to alleged violations of covenants, conditions and restrictions (CC&Rs). Successfully negotiated commercial leases for tenants in various Northern California shopping malls and commercial buildings. Corporate attorney for residential real estate brokers, providing advice on specific real estate issues; teaching seminars; and counseling owners on corporate, business, and lease-related issues.